Every hiring manager’s dream is a smooth process, where the ideal candidate interviews and everyone agrees they’re the perfect fit. They accept the offer and the company’s profits skyrocket as a result. Unfortunately, there’s another scenario that can be all too familiar. You’ve spent months conducting an exhaustive search and finally, after you’ve found the right candidate, you realize the leaders of your company have a different idea of what they’d like for the role. As a result, the decision is delayed even further, causing you to lose your top choice and sending you right back to square one. If you want the hiring process to be as efficient as possible, it is imperative to make sure everyone is on the same page. By going into the search with everyone in agreement, you set your company up for success and minimize the chance of additional obstacles down the line. Here are our tips to master the hiring process by coordinating your team. If you are going through the process of hiring a new employee, it is important to ask questions of what role they will be taking on in the company. Is it a temporary position that can become more? Is it a permanent position with growth opportunities? Understanding what possibilities the position holds for the right candidate will inform your choice when it comes time to hire. You will need to gather your team that will be responsible for filling the position and work together to set a timeline for the hiring process. Establish deadlines for receiving feedback and a goal of when you will ultimately need the position filled. This will allow a better understanding of the overall process from those involved and will aid in the timely advancement or rejection of possible candidates. Before you begin the interview process, coordinate with your team about what you hope to accomplish in each stage. Every technique used or question asked will yield new information about the candidates, but it can be difficult to compare if the techniques and questions are not uniform. Decide what you wish to learn about the candidates and share how you intend to proceed with your team in order to establish what each interviewer’s role will be and more aptly compare candidates. It is important to set points in the hiring timeline to check in and evaluate candidates. You can either wait to do a comprehensive debrief after you’ve interviewed everyone in a first round, or determine after each interview if the candidate is still being considered for the position. Make sure to set the plan before you begin interviewing to avoid confusion or miscommunication regarding candidates’ status. As the hiring process will involve employees from different departments coming together, it is key to make sure that they are all aware of what their role in the process will be. Make sure to clearly articulate what the expectations will be for each person, then differentiate who will be responsible for evaluating the different skills and experience of a candidate. This will allow for a more productive assessment of the candidates when the time comes for the team to reconvene and make a decision. The stakes are always high when you are adding a new member to a company, and of course you will want the best possible candidate for the role. However, it is necessary to manage expectations to prevent creating an impossible hiring process. Don’t discount a good answer to a question because it isn’t a great answer. Work to differentiate between the experience that is necessary for the position and the qualities you would like to see in a rock star candidate. This will allow you to better assess which applicants are capable of filling the role throughout the interview process. 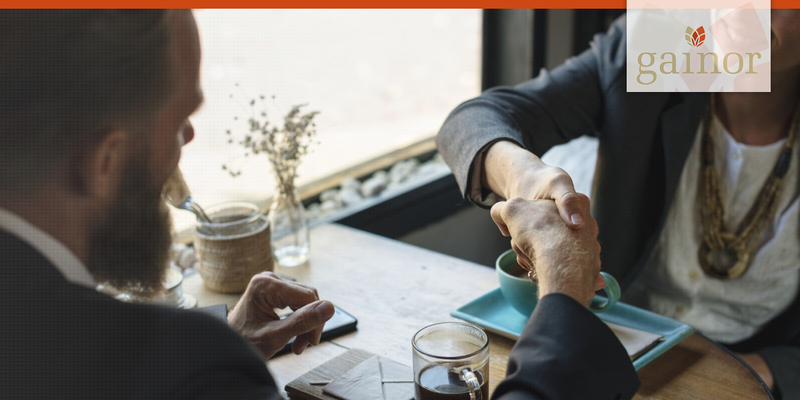 As you approach the end of the process, you might find yourself with a candidate you like but are not quite ready to send an offer. Planning for a custom interview to answer any outstanding questions will allow your team to be sure you are selecting the best person for the position. For nearly 40 years, Gainor Staffing has built our reputation on immersing ourselves into our clients’ businesses to fully understand their goals and priorities. As a result, we’re one of the top recruitment agencies in New York and we continue to make beneficial connections. If you’re looking for exceptional staff, let’s talk! Connect with our team today!